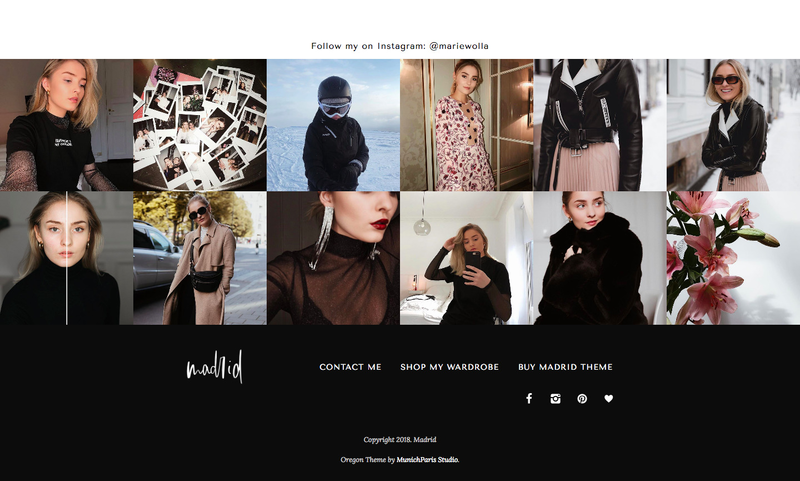 Toronto Theme gives you the option to display your Instagram feed right at the bottom of your website through a styled gallery. All you need to do is to make sure that the pre installed Instagram Plugin is activated and ready to use. To display your latest Instagram pictures, make sure you have the WP Instagram Plugin installed and activated. It comes pre installed with the theme. 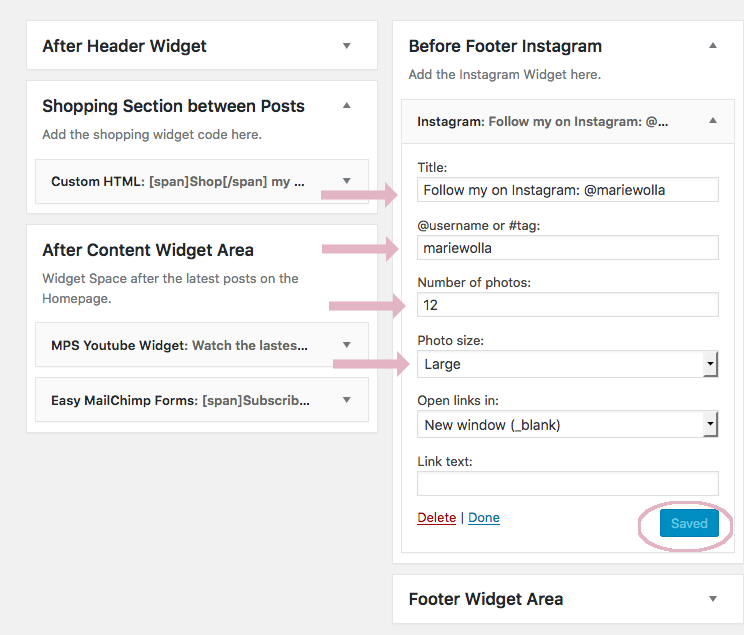 Navigate to Appearance > Widgets and drag the Instagram widget into your desired widget area. In the demo version it is placed in the Before Footer Widget Area. Now you only have to add your username and how many posts you would like to display (recommended for two rows: 12).